Can I Create an Electronic Will? If you are just starting to think about estate planning in Tampa, or if you are considering whether you should review your estate plan, you are probably thinking about a will. Many Floridians know that drafting a will is a central part of estate planning, given that it is the document through which you can specify how your property will be distributed upon your death and who you want to serve as your executor or executrix. Under Florida law, a will must be in writing in addition to numerous other requirements. You might be wondering: if my will needs to be in writing, can I simply type it up on a computer or smartphone so that I have an electronic will? In short, Florida wills cannot be electronic. Any valid will must be in hard copy. Yet this does not mean that legislators have not tried to change this rule. We want to tell you more about the history of electronic wills (and advocacy for them) in Florida, and the ways in which the prospect of electronic wills have become valid in other states. Just because electronic wills, or e-wills, are not valid in Florida does not mean that legislators have not attempted to make them valid. In 2017, the “Florida Electronic Wills Act,” also known as House Bill 277, made its way through the Florida legislature. The legislation specified requirements that would need to be satisfied in order for an electronic will to be executed and to be valid, and it authorized electronic wills for nonresidents of Florida to be admitted into probate in the state of Florida. The bill also made other changes to Florida law related to electronic wills. The Florida Electronic Wills Act was so popular that it actually passed the Florida legislature, but then-governor Rick Scott vetoed the bill. Scott cited concerns about properly authenticating electronic wills and issues of “remote witnessing, remote notarization, and nonresident venue provisions,” according to the letter in which Scott vetoed the legislation. Yet Scott’s veto did not suggest that a bill allowing for electronic wills necessarily would be vetoed regardless of its contents in the future. Rather, he explained that, “while the idea of electronic wills is innovative and may transform estate planning for Floridians, I believe this bill fails to strike the proper balance between competing concerns.” He listed those “competing concerns” as the “balance between providing safeguards to protect the will-making process from exploitation and fraud while also incorporating technological options that make wills financially accessible to a greater number of Florida’s citizens.” Accordingly, similar legislation could be enacted at some point in the near future in Florida. Recent History of Electronic Wills in the U.S. If the Florida Electronic Wills Act had been enacted, it would have made Florida one of many states that now permits electronic wills. According to an article by researchers at Texas Tech University School of Law, as of September 2018, numerous states already had enacted electronic will statutes or were considering legislation that would allow people to draft enforceable electronic wills. For example, a handful of states have statutes that expressly allow electronic wills. 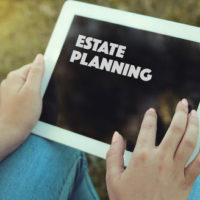 Other states like Michigan, according to an article in Forbes, have admitted electronic writings as evidence of a deceased’s intentions with regard to property distribution. There are pros and cons to electronic wills, and many people continue to have concerns about their authenticity and validity. At the same time, it is important to recognize that many states have considered whether they may be appropriate and enforceable. If you have questions about drafting a will, you should speak with an estate planning attorney in Tampa. An advocate at our firm can speak with you today. Contact Bubley & Bubley, P.A. for more information about creating a will.